Where no mountain is too high, and kids will learn they can overcome obstacles with God's awesome power! 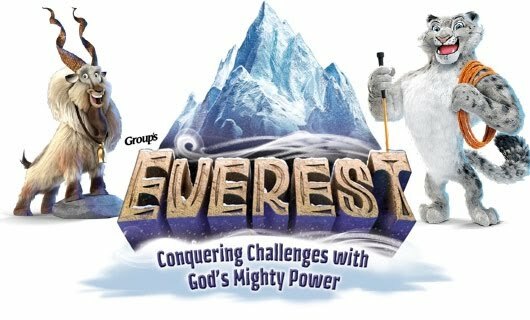 This summer at Everest VBS, kids will go on an exciting, icy expedition to the slopes of Mount Everest where they’ll discover they can overcome obstacles and conquer challenges with God’s mighty power! Each day kids will trek through field-tested activity stations. They will be anchored in rock-solid Bible truths that will guide them through life's challenges. Come be a part of Vacation Bible School at Mineral Springs Baptist Church. It’s our goal to help children grow in their relationship with God!! We’re praying this awesome VBS program will touch children’s hearts and lives with God's power. We want to help kids in our community discover that God has the power to conquer all things. VBS KICK-OFF---- Sunday, July 26 4:00-6:00pm. Families are welcome to join us for a fun evening with the kids including a supper with hotdogs and snowcones. There will be inflatable water slides and other splash activities, so kids may want to wear a bathing suit! VBS Classes Monday- Friday July 27-31 6:30-8:30pm Meals will be served each night at 5:30pm. Also each night an offering will be taken up to provide Bibles for children in India. Commencement will be during Sunday Morning Worship Service August 2nd, 10:45am. We hope all families will attend. COME JOIN US FOR THE COOLEST WEEK OF SUMMER!! The event is free and open to ages birth - 5th grade. For more information please contact MSBC (704-485-4814) or public.relations@mineralspringsbaptistchurch.org.